A hill Station is a place where it is located at higher elevations than normal places and India is a home of many hill stations. Most of the Indian hill stations are developed by British people to get rid of summer heat. Many people opt the picturesque lakes as an excellent place for boating. Some people who like to do adventure also opts these type of hill stations and following are the top 10 hill stations India. The Indian continent has several principal hill stations of which Himalayas is the largest mountain area in northern hemisphere. There are other places like Shimla, Nainital, Kullu and many more hill stations in India and some of the top stations are mentioned below. 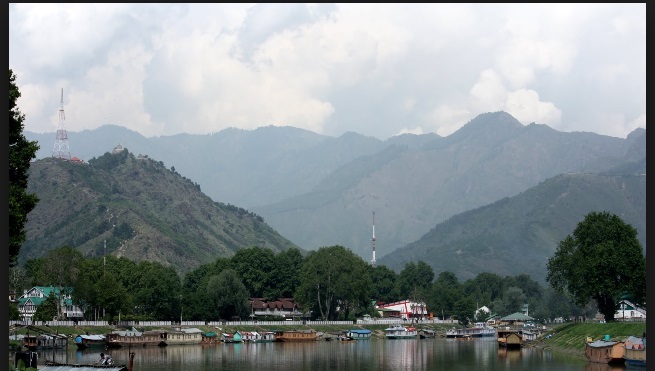 Srinagar is the capital of Jammu and Kashmir which is located in the heart of Kashmir. The blossoming gardens, resorts and water surfing makes the city an excellent spot for tourists. The famous Dal lake in Srinagar has the maximum number of boats in it with all the categories from deluxe to D class. There are many fruit orchards, gardens, parks and pastured of flowers hidden in the city. It is having the Asia’s largest tulip garden with the festival of tulip every April. Golf enthusiasts come over there as there are number of golf courses over there especially we find these people in winter. 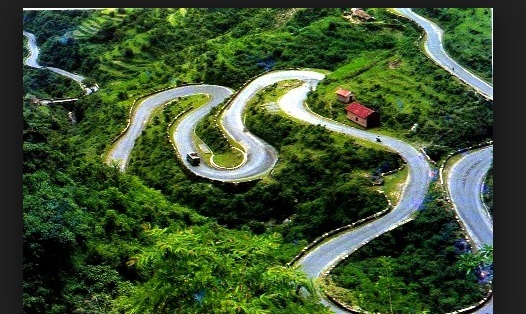 Mussoorie is a municipal board located in Dehradun District of Uttarakhand and is a famous hill station located in foot hills of Garhwal Himalayan. This is also known as Queen of the Hills and has an average elevation of about 1,825 metres. The varied flora and lush green hills attracts hundreds of domestic and international tourists every year. It is not only famous for its scenic beauty but is also famous for education and business. The Mall that extends from Shivalik ranges to Doon valley, Lal Bahadur Shastri National Academy, Tibetan School, Municipal Garden etc are several interesting places to be visited in Mussoorie Hill Station. Matheran is a hill station located in Maharashtra and is the smallest hill station in India. At an elevation about 800m, it is located in Western Ghats above the sea level. The hill station is located 90kms from Mumbai which is established as a most popular weekends for urban residents. One Tree Hill Point, Hart Point, Monkey Point, Porcupine Point etc are different famous points of Matheran. It is declared as an ecosensitive region by Environment Ministry and ambulance is the only allowed automobile by municipality and people can make use of horses or rickshaws as the transport facilities. 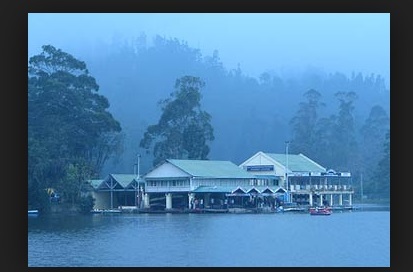 Kodaikanal is a Princess of hill station which is located in Tamil Nadu and had a long history since its establishment in the year 1845. It is amalgamation of two words Kodai and Kanal which means Place to see in summer. Large Eucalyptus trees and Shola forests, Meadows and Grasslands flourish in the valleys. There are many number of pea trees and its fruits are of high quality and the temperatures are cool all the years due to its elevation. Nainital is a popular Indian hill station located in Uttarakhand at an altitude of 2,084 metres above sea level. It has maximum temperature of 27 °C in summer and a minimum of −3 °C in winter. It got a population of about 38,559 where 54% of population are males and 46% are female and only 1% of population is under 6 years of age. People can enjoy the forest walks along the horse back and relax on boar take. Ooty is established in the 19the century by British which is the summer head quarters of Chennai government. It is a soothing place for Tamil Nadu people to escape the summer heat. Ooty is also known as Udhagamandalam and is the district capital of Nilgiris district which is located 80 kms from Coimbatore. It is famous for tourism, agriculture, manufacturing of medicines and photographic film. 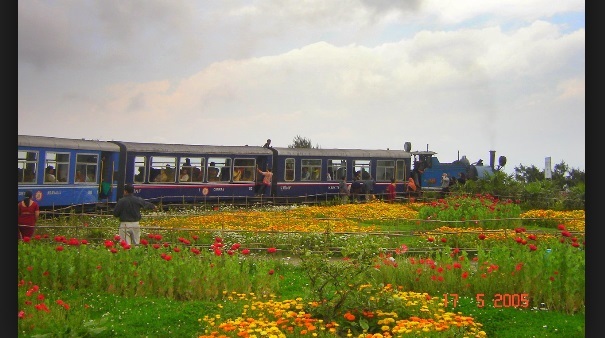 The whole town is connected to India by road, rail and it historic visiting sites attract tourists. Darjeeling is a town in West Bengal which is popular tourist place with an average elevation of 6,710. 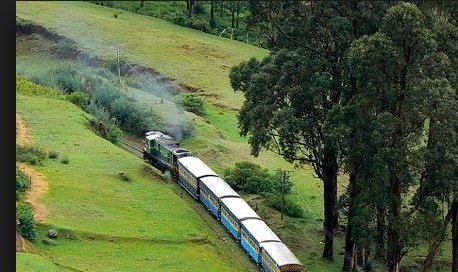 It is famous for tea industry, Himalayan Railway having long history from the mid 19th century. It has many British style schools which attracts students all over India and other countries. Monasteries, botanical gardens, zoo and Rangeet Valley Passenger attract people and make them visit the place again and again. Munnar located in Kerala is a town located around 1600m above the sea level in Western Ghats. It is combination of three rivers Madhurapuzha, Nallathanni and Kundaly Rivers. The nearest airport is Cochin International Airport and the major railway stations are Arnakulam and Aluva. Munnar is blessed with natural beauty of winding lanes, misty hills and forests along with wildlife Anamudi is the highest peak of South India where the adventure enthusiasts can visit the place. Manali with a population of approximately 30,000 is a part of Kullu district which is in the mountains of Indian state of Himachal Pradesh. It is a small town with 64% males and 36% females and its climate is very cold during winter and moderate cool in summer. It is famous for apples and British people introduced these apple trees with the first apple tree was set up near patlikulh. Apple and Pear remains to be the best source of income for Manali. Shimla which is also known as Simla is the capital city of Himachal Pradesh and it is bounded by Mandi and Kullu. It is a well known hub for tour and it is one among the 10 preferred locations in India. It is the summer capital of British India before independence and it is declared as the capital of Punjab after independence. It is famous for many recognized colleges and research institutions which also had many temples and palaces. It is home to legendary mountain biking race which started in the year 2005 and is regarded as the biggest event in South East Asia.